There are a lot of things to be said about wah pedals, both positive and negative. Hendrix, Clapton, Page, Gilmour, Satriani, Vai, Hammett, Dimebag, Wylde, and Cantrell have all contributed extensive wah-based material to the canon of classic and hard rock. Not to mention the countless number of R&B, blues, and funk players who rely on the the throaty wail of a wah for both lead and rhythm parts. It seems like whatever your preferred style is, there should be a place in your setup for a nicely voiced, reliable wah pedal. 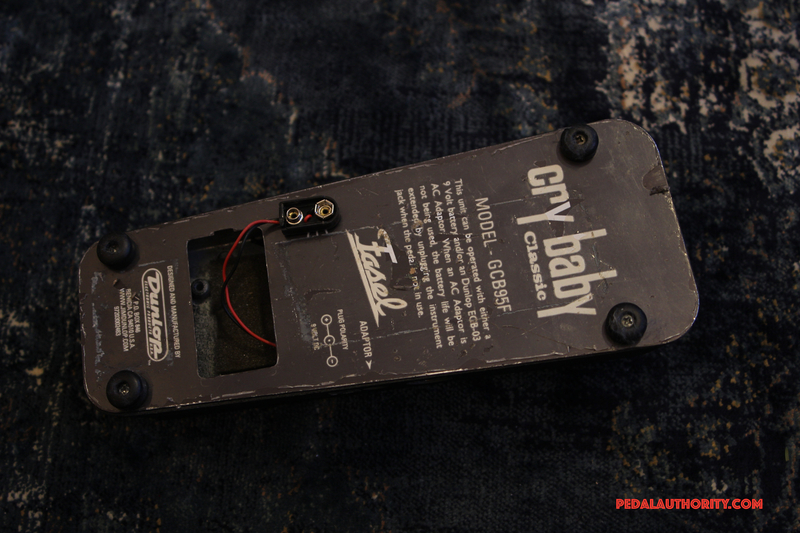 For our first wah pedal review, we figured we would take a classic model and put it to the test, which is why we have chosen to review the Dunlop Crybaby Classic. There are no knobs or switches on this pedal, save for the single on switch that rests under the rocking footpedal. 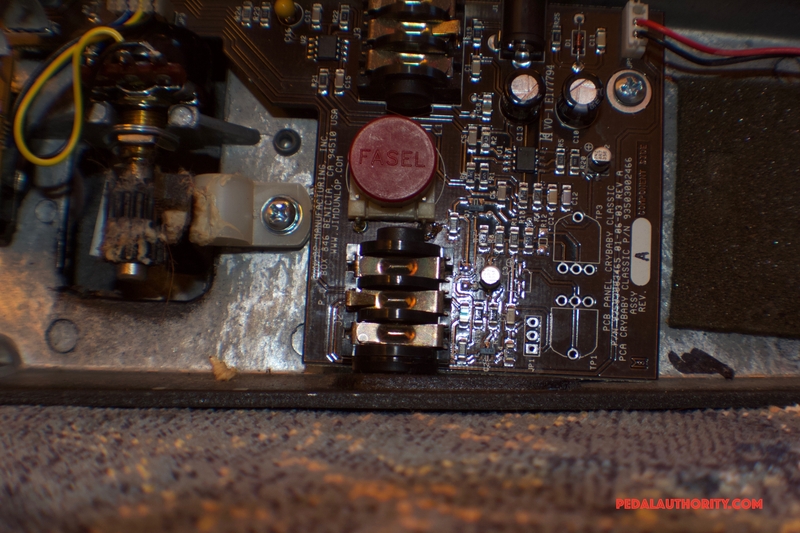 What makes this particular model special though is what’s inside the heavy, likely indestructible metal casing: the legendary Fasel inductor. 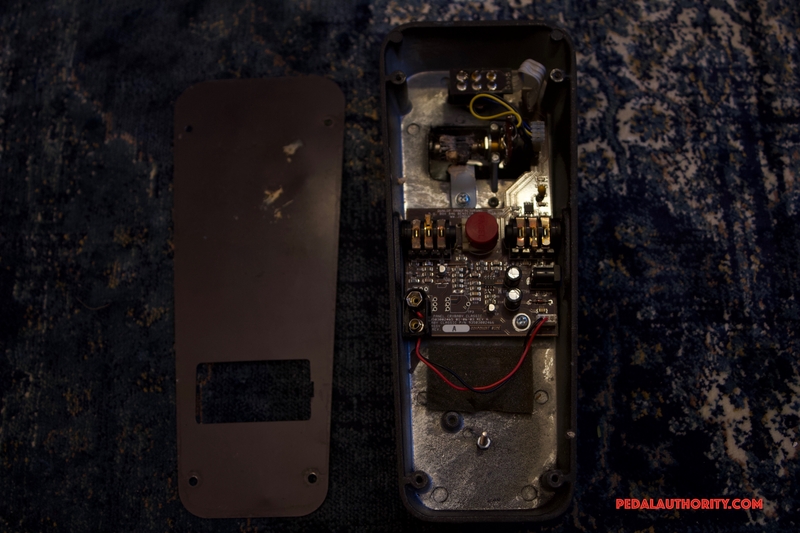 Apparently many of the early wah pedals of the 1960’s contained this button-sized, red component, and this is what supposedly gave those pedals their warm, vocal-like sound. Absent from pedal offerings during the 80’s and 90’s, the Italian made Fasel has made its return to the scene. 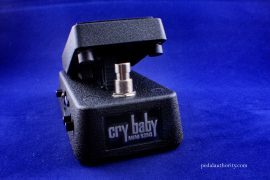 Dunlop’s slightly less expensive offering, the Crybaby, does not contain a Fasel inductor, and truth be told, this does seem to make a difference. Whether it is due to a higher grade of components used in the Crybaby Classic, or if it really is all because of the Fasel is still unclear. It is clear though that the Crybaby Classic has a warmth to it that lends itself well to a variety of styles. Another thing about the Crybaby Classic that sets it apart from other wahs is that the sweep is slightly different than more generic offerings. Compared to Dunlop’s base model wah, the sweep of the Classic emphasizes the throaty mids, and rolls back a bit of the high end. As a result, this pedal does very well in overdriven, fuzzy, and high gain situations. The lush, mids-heavy sweep helps some of the most characteristic of the guitar’s frequencies to cut through the mix, while the tamed high end helps avoid screechy icepick territory. 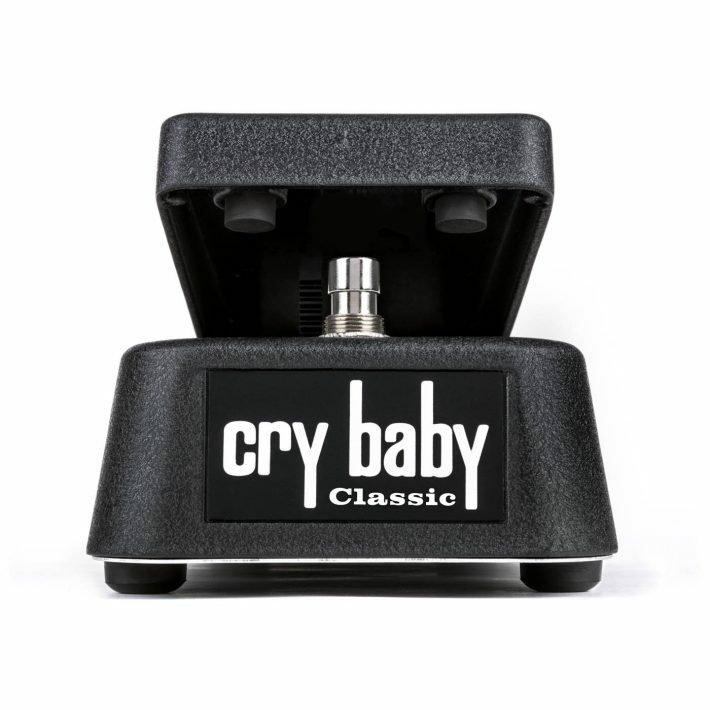 There are plenty of sweet spots along the trajectory of the Crybaby Classic’s sweep, which makes it perfect for getting the Michael Schenker, cocked wah tone if that’s what you’re into. To get an idea of what the pedal’s sweep sounds like, take a listen to Alice in Chains’ Man in the Box or Joe Satriani’s Surfing With the Alien. These are the types of tones that this pedal is best suited for. Clean tones sound smooth and mellow with the Crybaby Classic, though truth be told, this may be one of the weak points of the pedal. If you are looking for more of the trebly, funky sort of tone, you know the one that has to compete against a horn section, you may want to look elsewhere. 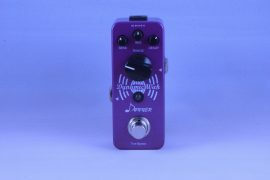 Or, you could use a treble booster or a compressor to thicken up this pedal’s high end. However, if you do happen to be looking for a wah that stays smooth and mellow when playing styles that call for a cleaner guitar tone, then this is definitely a special find, and worth trying out. Powered by a grounded Voodoo Labs Pedal Power unit via 9V input. No gouging, but some of the high end is clearly being attenuated despite the “true bypass.” However, this is barely noticeable. 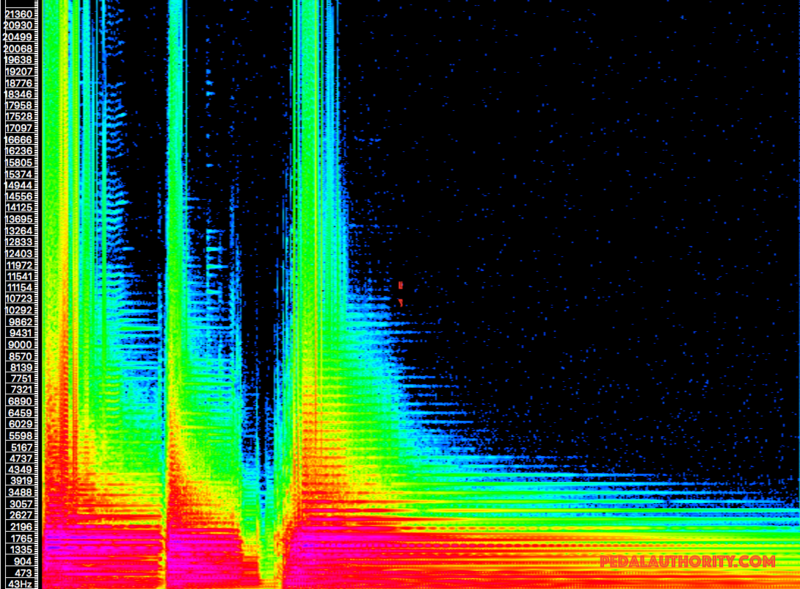 This is basically what you would expect from the “heel down” or the “rocked back” position of a wah pedal. High frequencies are filtered out, and the focus gets pulled to the lower end of the instrument’s range. Rocked all the way forward, the wah pedal emphasizes the middle and upper frequencies. 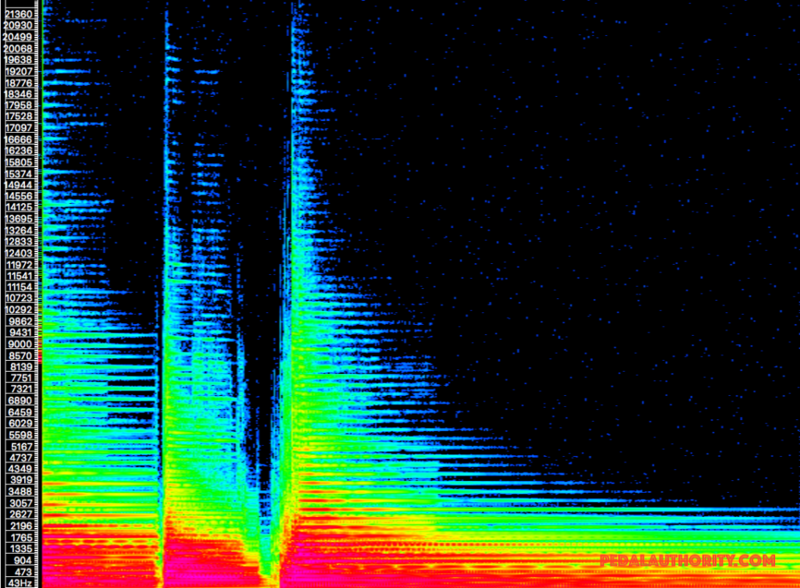 As to be expected, the attack points receive a prominent boost, which allows the signal to easily cut through the mix. Notice though that much of the energy concentration is in the midrange, while the upper range remains relatively tame. This is one of the characteristics of this particular wah pedal’s voicing, as mentioned above. 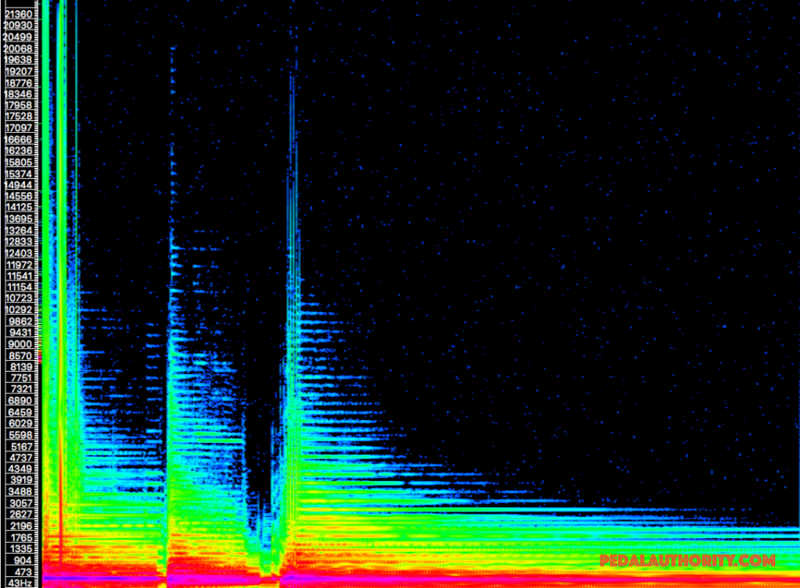 In fact, the natural frequency profile of the instrument is largely preserved, in terms of the energy gradient, with the most drastic change being in the midrange. With a unique voicing, an extremely durable enclosure, and true bypass circuitry, the Crybaby Classic delivers on its promise to recreate those legendary wah sounds of days gone by. 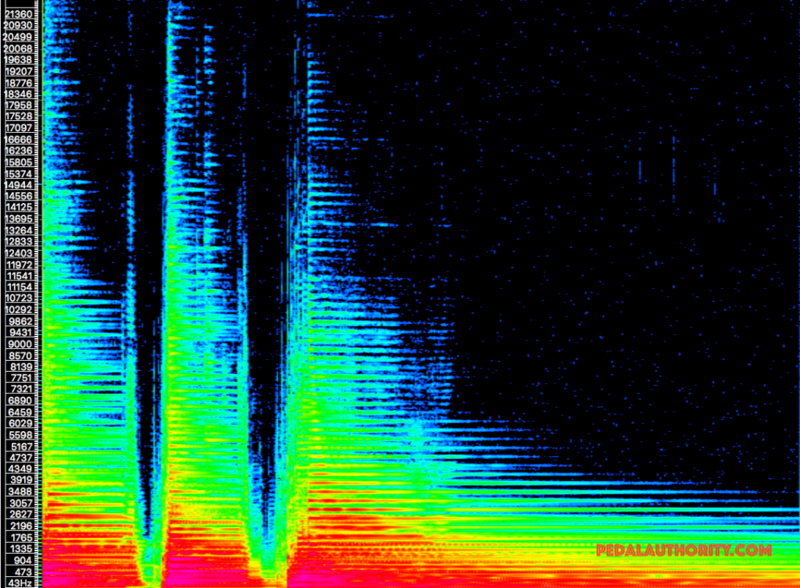 It plays nicely with all sorts of amplifiers, and for its price really can’t be beat.